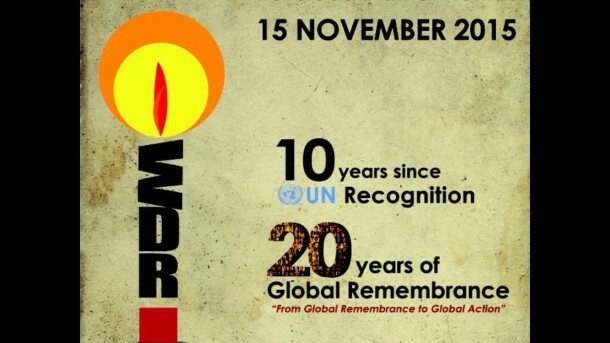 This coming Sunday, 15 November, is world day of remembrance for road traffic victims. While huge advances have been made in recent years in reducing road casualties, this is a day on which we remember our friends who have gone before us and their families. Mayo; A service will take place in Knock at 12 noon for road traffic victims and to honour the work of the emergency services. Download the poster here. Tipperary: PARC Road Safety Group are organising a Special Ceremony to remember all those affected by road traffic collisions which will take place in the Presentation Secondary School, Clonmel, Tipperary at 2.30pm. Everyone welcome. 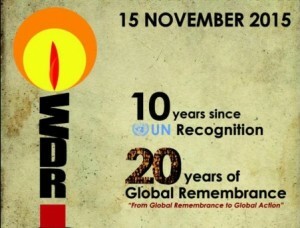 Theme: Celebrating the lives of our lost loved ones. For further details please contact Susan Gray at 086-3773784. You can download‘Finding Your Way’, A guide for families of victims following the death or serious injury of a loved one in a road traffic collision. Tipperary: There will be Rosary in The Garden of Remembrance, Ballynonty, Thurles, Co. Tipperary on Sunday 15th November at 3pm. Westmeath: The Irish Road Victims Association (IRVA) are hosting a memorial service for Road Traffic Victims in the Bloomfield House Hotel, Mullingar at 2pm. We invite you to take a framed photo of your lost loved one with you. Please see here for a poster of the event.